To express your busy lifestyle, you need to have an accessory which expresses it. 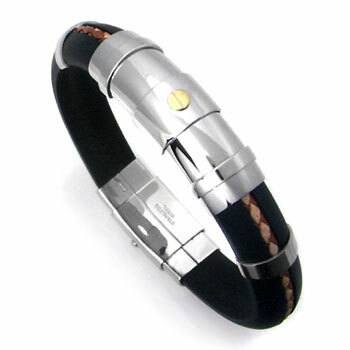 This stainless steel bracelet for example, is a good candidate. The combination of the steel, rubber and braided leather gives an excellent design as well as the comfort. Plus, the gold accent on top is perfect if you want to grab some more attentions.